How can you be more inclusive of children and young people with special and additional needs in our Church? There are a number of resources available for you to expand your understanding of the spectrum of special and additional needs, and for you to develop worship in your Church to be more inclusive. JKP is the leading publisher in autism and related conditions, publishing authoritative and practical books for professionals, parents, children and anyone whose life is touched by autism. A range of topics is covered, including Communication and Development, Relationships and Social Skills, Teaching and Assessment, Parenting Strategies, and Overcoming Depression and Anxiety. Browse the catalogue on the JKP website. The Church has produced an action pack to help churches create communities of belonging, making worship more inclusive for all abilities. Belonging is a resource exploring 10 ways for churches to be inclusive and to promote belonging for all. This resource gives your church an opportunity to become better at welcoming and supporting those with additional needs. Videos form the Belonging Conference can be watched on the Methodist Church website. Urban Saints' Additional Needs Ministry offers support and advice on how to encourage, enable and equip children's, youth and family workers to connect with children and young people with additional needs or disabilities. Going to Church is a book for adults or young people with learning disabilities. 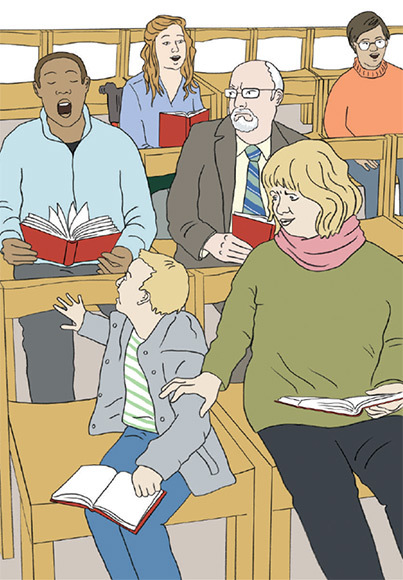 The book's illustrations encourage readers to think about their participation in church life and worship. How Do We Welcome People With Additional Needs? Messy Churches have all different types of people coming through their doors. How do you make sure that you welcome every member equally and are accommodating to all people, including those with SEND (Special Educational Needs and Disability)? Trish Hahn, the Messy Church SEND coordinator, has put together a Maximising the Mess guide for welcoming people with additional needs. 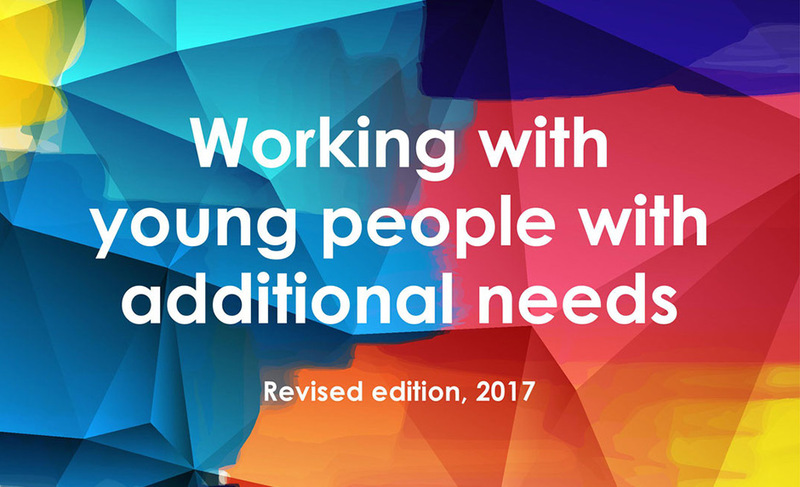 Working with Young People with Additional Needs includes information, tips and further links on working well with young people with: ADHD, Asperger Syndrome, Asthma, Autism, Down Syndrome, Dyslexia, Dyspraxia, Hearing Impairment, Spina Bifida, and Tourette Syndrome. This revised edition includes new topics like mental health, new sections on how to engage young people with faith and ideas of inclusive games and sports. The Boys' Brigade have a Disability Advice Network with a range of leaflets on different areas of disability. The Boys' Brigade in Northern Ireland have launched a Disability App to provide quick, basic information for youth leaders on 25 different disabilities that affect children and young people. The app is available on both Apple and Android platforms. This could be on hand and a helpful and informative tool for your congregation and children’s/youth leader volunteers to help include all young people in our congregational life. Top Tips on Welcoming Special Children is a guide for anyone helping children with special needs to know God. Containing stories from group leaders and parents, the book examines what we mean by special needs and what the Bible says on the subject. With practical ideas for welcoming special children into churches and children's groups, this book also explores the implications of the Disability Discrimination Act for churches.